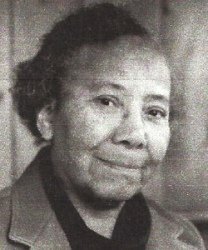 Founded the Children's Dental Clinic in her home in Cambridge, Massachusetts and worked as a dentist in the Cambridge Public Schools. This pioneer spent four summers providing dental services with the Sorority's Mississippi Health Project. For three of those years she was the only dentist on staff and popularly known as Dr. Mary. Her civic accomplishments also include becoming co-founder one of the first Fair Housing Committee in America.